A wooden couch is one of the important wooden furniture items that can be placed on various places. Infact a decent wooden couch is the need of every house hold. We need one for our lounge, room, hall and in every segment of the house only then it would be called a well decorated and managed house. We always prefer making the wooden pallet couches, but it becomes literally a feast, an incentive when the couch is provided with some additional storage space. Because in urban living, almost every one of us needs storage space so here we bring another wood pallet couch with storage space. 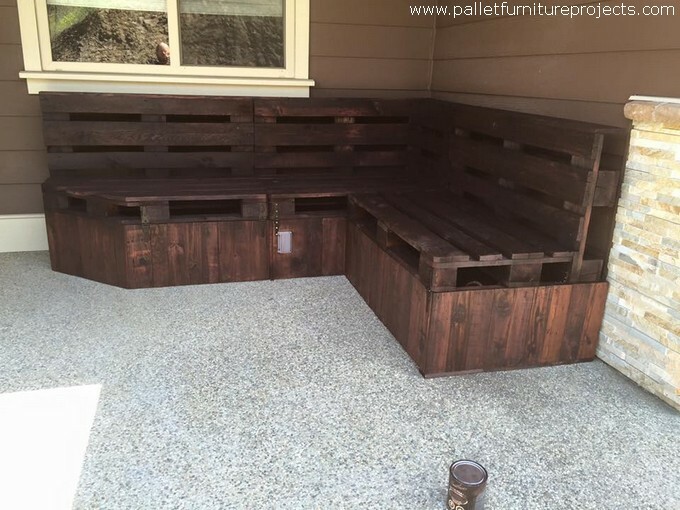 This is apparently a simple wood pallet repurposed couch that is certainly made with the wood pallet. Let’s talk a bit about the shape and design of the wood pallet couch. 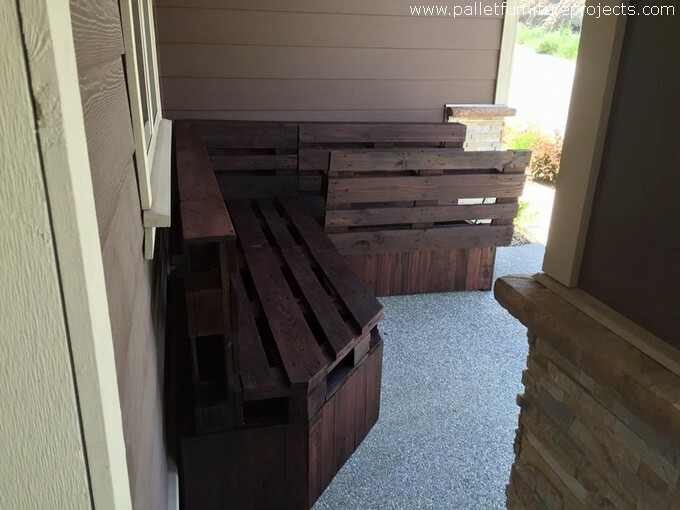 This is apparently a fiver seater wood pallet couch made with some fresh available pallets. The design is basically L shaped that is a common one and we have made it so many times. But the flattened corner on one side is a bit different pattern. And if we talk about the stain, we have used a relatively darker shade which really suits on the wooden furniture items. 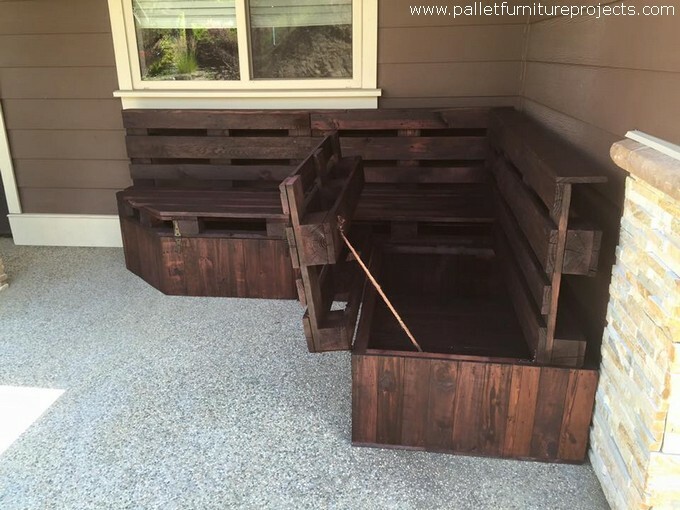 As the title clearly indicates that this wooden pallet repurposed couch is going to have some additional storage space and this feature would make it a multi purposed wooden pallet furniture item. Have a distant look of the couch, actually the sitting wood bars can be removed as a door, this just looks like a wooden box with a door that can be opened and closed. Same is the case with this wooden couch. The space created there is just more than enough for stuffing in a large number of different accessories.